Know when your child needs to schedule their shots and vaccines. Get peace of mind in knowing that your kids are treated like they are our own. 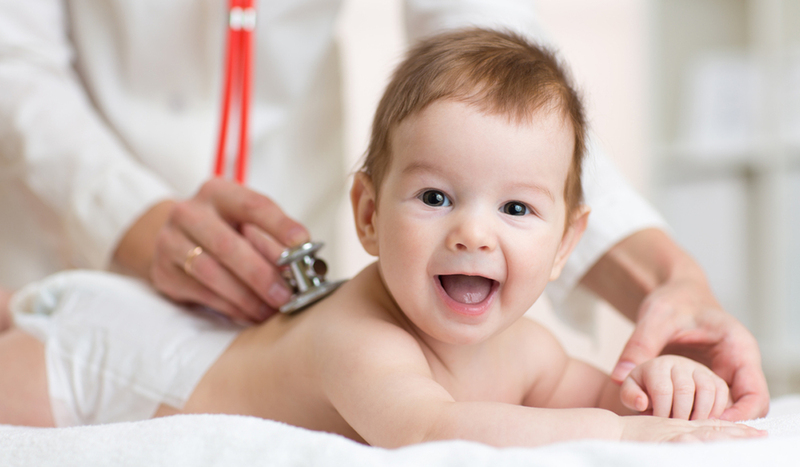 We welcome you to give us a call and let us become your child’s healthcare provider. At Pedicare Children's Clinic we are committed to providing quality and cost-effective healthcare to our patients, and we accept several forms of payment listed below. In today’s insurance environment it is essential that you understand which services and procedures are covered by your insurance plan. If you have any questions please feel free to contact our office at 432-695-6300. Pedicare Children's Clinic asks that medical exams, tests and services be paid at the time services are rendered. For your convenience, our clinic accepts most major credit cards: Visa, Mastercard, Discover and American Express. Cash, money orders, and cashier's checks are also accepted. The individual accompanying the child to a visit will be responsible for paying for any services rendered, including any co-pays, deductibles and/or non-covered services. We will be happy to give a receipt to the individual paying for the services during the visit if needed for reimbursement purposes. Please retain all copies of your tickets and cash receipts. This information will be able to assist us if questions regarding your financial account arise. Our clinic contracts with numerous insurance companies, however, it is important to understand that payment for medical services is the financial responsibility of the parent/legal guardian. Although your insurance coverage is a contract between the policyholder and the insurance company, we may be able to assist you in acquiring benefits which you are entitled. We do not, however, assume the financial responsibility if your insurance company does not honor your claim. You are still responsible for payment of the bill. If your child is insured through a company that our clinic contracts with, our Insurance Representative will process your claims. You will be responsible for paying deductibles, co-pays and non-covered services at the time services are rendered. If your child is insured with a company our clinic does not contract with, payment is expected at the time of service, however, our Insurance Representatives will be happy to assist you with information concerning your benefits. If you have questions regarding your insurance coverage or our office policy, please contact us on 432-695-6300. Note: Parents are responsible for notifying their insurance carrier of the birth of their newborn. Most insurance carriers require notification within 30 days of birth. Should unusual circumstances make it impossible for an individual to pay for services rendered, call 432-695-6035 to assist you with making financial arrangements to cover medical expenses and assist in understanding your individual medical insurance coverage. We can also provide you with estimates of your proposed clinic bill prior to your visit. We encourage you to call us to discuss questions regarding your insurance or financial arrangements at 432-695-6300. Below are some frequent questions that you may have about our patient portal. Please feel free to call our office at 432-695-6300 if you have additional questions. How do I request a form? Use the Message feature to request a form. Enter the type of form in the Subject, and in the body of the message enter how you would like to receive the form (pick-up, mail, fax), and phone number where you can be reached for any questions. Please provide a mailing address to have the form mailed, or a fax number if you would like the form to be faxed. Please remember there is a 10-day completion time for all forms. Our updated Forms Policy is available on our website under Patient Resources. You will receive a response in your portal account inbox when the form has been completed. How do I request a medication refill? Login to your portal account and choose your child’s name from the account list. On a PC using Internet Explorer, choose the My Health tab, the Medication tab, and then click the Refill icon (pill bottle) beside the medication you would like to refill. On an iOS device (iPad, iPhone), click the RX Renewals icon at the bottom of the screen. On an Android device, click the Menu icon on the top left and choose Renew Prescription. If you cannot refill using the steps above, you can use the Send A Message feature to request the refill. Enter “Refill” in the subject, and the name of the medication in the body of the email. How do I request an appointment? You may request a check-up appointment by choosing using one of the following methods: On a PC using Internet Explorer, choose Schedule An Appointment or Request An Appointment. Enter the required information in each section and submit. Using an Android device, click the Menu icon on the top left, choose Appointments, and then click the Appointments icon on the bottom right. Choose the appropriate information in each section, and then click Send Request. On an iOS device, tap Appointments, and then choose the appropriate information in each section. Click Send Request to submit your appointment request.You will receive a response to your appointment request via the patient portal. Please check your child’s portal Inbox to know when your appointment is scheduled. How do I send a message to my doctor’s nurse? Use the Message feature to send a message to your provider’s nurse. Using Internet Explorer on a PC, choose Send A Message at the top of the screen, or Compose in the Inbox. On an iOS device, tap Messages at the bottom of the screen, or use the Compose icon in the Inbox. From an Android device, click the Menu icon on the top left and choose Messages. Choose a provider’s name from the drop-down list, type your message, and send.You will receive a response in your patient portal inbox. How do I view my child’s immunizations? After logging in to your account and choosing your child’s name, choose My Health, and then choose Immunizations. You can then view your child’s immunization history. How do I view billing information or pay a bill? Using a PC, choosing Billing from the My Account drop-down at the top of the screen. Choose the Menu on the top left of Android devices and choose Billing. Tap More on the bottom of the iOS device to view billing information. Why is Pedicare Children's Clinic not listed under Healthcare Organizations? Accounts for our patients must be created through an email invitation, and accounts created from this link are automatically connected to Pedicare Children's Clinic Healthcare Network. If you are being prompted to connect to an organization, please contact our office at 432-695-6300 to request an email invitation to create an account. Why can I not see my child’s information? There are two reasons why this may occur: Be sure to choose your child’s name from the account list each time you log in. If there is not a drop-down list for accounts, please contact our office at 432-695-6300 to request an email invitation to create an account that will link to our office and your child’s health records. An account was created from the FollowMyHealth website and not from the email invitation. Please contact our office at 432-695-6300 to request an invitation. How do I link my children’s accounts? If you have an account for one child and receive an email invitation for another child, simply choose the “Sign in and add this connection” option when creating an account for your other child. If you have created separate accounts for your children, we can delete those accounts and send a new invitation that includes all children. You will need to create a new portal account, but it will include all of your children under the age of 18. Be sure to include the names and dates of birth for all children under 18, your name and relationship to the children, and your email address. Why am I not receiving email notifications about updates to my child’s portal account / How do I update my email address to receive FMH updates? You will receive an email notification when new information is available in your child’s portal account as long as there is a valid email address in notifications. Preferences and notifications can only be updated using a PC. You can enable Push Notifications on mobile devices that will display the number of updates in your portal account on the FollowMyHealth icon. How can I get text appointment reminders? You can only change notifications to request text reminders by logging in to your account on a PC. On the home page, do not choose your child’s name. On the top right, choose Preferences, My Account, and then Notifications. Click the link to add your cell phone number and carrier. You will receive a text with a verification number. Enter this number and choose verify. You can then check the box beside Text for each type of notification you wish to receive as a text message. Only appointment reminders will send all of the information in a text. All other updates will generate a notification text that new information is available and to log in to your account to view. Can I print my child’s medical records from the portal? You can print your child’s health record by choosing the Chart tab under My Health using Internet Explorer on a PC. Using an Android device, choose My Health from the Menu, and then choose Documents. Tap the Print icon on the top right, and check the box beside any information you would like to print. Choose My Health on an iOS device, and then click the Export icon. Choose print to see a list of available printers How can I find my username or reset my password? You will receive an email with your username from FollowMyHealth when you create your child’s portal account. If you chose the FMH login method, you can use the Forgot Password link to have a password reset link sent to the email address used to create the account. If you used Google, Yahoo, Facebook, or Outlook to create your login, you will need to request a password reset from that company. Our office cannot see or retrieve usernames or passwords. If you cannot login and cannot remember your username or password, please contact our office at 432-695-6300 and request that your current portal account be deleted and a new email invitation be sent. When you create a new account, please use the FMH login method and make a note of your username and password for future reference. Can a grandparent or step-parent request a portal account? Only legal guardians may request portal accounts. If someone other than a biological parent requests a portal account, they must provide documentation proving legal guardianship before an invitation will be sent. My question isn’t listed, so how do I receive assistance? To request a portal invitation or for assistance with an issue not listed above, please contact our office at 432-695-6300. Below are resources that can assist you with frequent questions and concerns. Please feel free to call our office at 432-695-6300 if you have additional questions. These are the recommended immunization schedules for your child. Please feel free to call our office at 432-695-6300 if you have additional questions.Adobe Acrobat Reader may be required to view/download the following PDF documents. Pedicare Children's Clinic offers an after-hours nurse line. Triage nurses are available to provide assistance with urgent medical problems, to answer general questions, and to offer advice. If you have an urgent medical problem or medical question after hours, you should call 432-695-6300. Schedule an appointment by calling 432-695-6300. Patients are seen by appointment only, Monday through Friday, during regular business hours. We offer sick clinic visits in our Pedicare Children’s Clinic where we see children on a walk-in basis Monday through Friday 8:00AM to 5:00PM. first-available appointment may or may not be on the day the appointment was missed. I have been using Pedicare Children's Clinic since inception they have an amazing staff. The medical providers are totally awesome, I highly recommend Pedicare Children's Clinic to anyone! I love Pedicare Children's Clinic ! I took for my daughter to the clinic and she absolutely loved it. From the first visit we had and even today I have never been disappointed with our visit. It's always a nice visit and they is very professional!